Picnic at Hanging Rock is one of my favorite movies and when I found out about a written sequel to the movie I decided I just had to check it out. The story starts out in 1999 with a woman named Claire Hammond, who is sixty-six, being introduced. Then the book shifts to 1881, and throughout the rest of the book the times will change back and forth frequently, usually between 1900 and 1950, or 1950 and around 2000 or so. 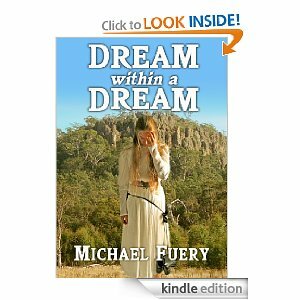 The book establishes background information for Miranda, one of the girls involved in the Picnic at Hanging Rock events. We learn how Miranda came to end up at the all-girl boarding school. She becomes close to Marion and Irma. Slowly but surely the book ties in what happened to Miranda in 1900 with present-day Clair Hammond, and follows Claire's growing awareness that there is something unusual in her past. At the same time we are following Miranda, in 1900, from her disappearance at Hanging Rock to where she eventually ends up. Love and heartache play major roles in the story as does Hanging Rock itself. The author presents a plausible explanation of what happened to the girls at Hanging Rock. Explanations of exactly how certain things happened are virtually impossible because there are some questions that we will never know the answer to. Still, the book does a very good job of tying past to present, showing that the package it forms may not always be nice and neat, but it can make sense. It can also require personal sacrifice, though. Definitely a worthy addition to the Picnic at Hanging Rock legend.